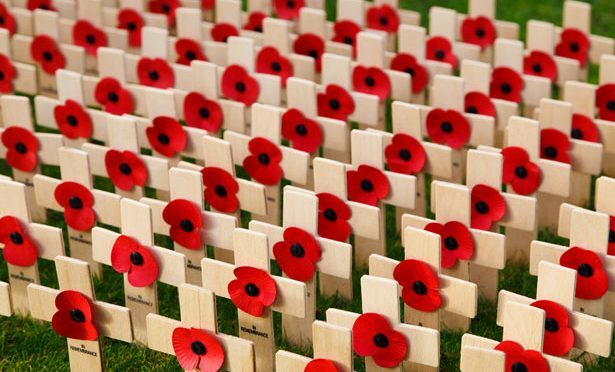 November pierces with its black remembrance Of all the bitterness and waste of war. Our silence tries but fails to make a semblance Of that lost peace they thought worth fighting for. Our silence seeths instead with wraiths and whispers, And all the restless rumours of new wars, The shells are singing as we sing our vespers, No moment is unscarred, there is no pause, In every instant bloodied innocence Falls to the weary earth, and whilst we stand Quiescence ends again in acquiescence, And Abel’s blood still cries in every land. One silence only might redeem that blood Only the silence of a dying God. These words of Christ at the Last Supper were more than a simple command to commemorate. They are a call to awakening that in this life this important historical figure, Jesus of Nazareth, has left his mark on the world. As we come to the altar to follow this command the effects of that first Good Friday are not only called to mind, but are brought to effect having a direct bearing on our lives. Our memory forms us, it has a impact on who we are as individuals and as a society. The Early Church Fathers spoke of the memory as being ‘a power of the soul’; the great philosopher, Aristotle referred to it as being the ‘scribe of the soul’, such is its effect. Memory informs, rightly or wrongly, and impacts our decision making and therefore our future. It also keeps the events of the past effective in our lives. This Month of the Holy Souls is a particular time where we recall with an act of memory those who have gone before us from this life and have left their mark, directly or indirectly. It is good that we should have a season of the year for remembrance a time when we feel that that veil between time and eternity is thin, and we can sense that a greater and wider communion of saints to which we belong. The Church has settled this feast on a time in the turning of the year when the pre-Christian Celtic religions were accustomed to think of and make offerings for the dead. The Church kept the day, but it changed the custom. The greatest and only offering, to redeem both living and dead, has already been made by Christ, and if we want to celebrate our loving connection on both sides of the veil, we need only now to make gifts for and to the living. 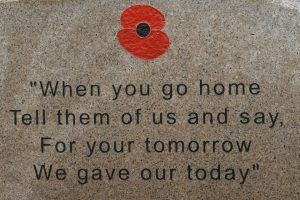 Today we especially ‘remember’ those who have given their lives through war in service of our country. They have left home and family often to foreign lands in the search of justice, freedom and peace; the effects of which we feel in our society today. The world could have been a very different place for us without their sacrifice, which cannot and should not be forgotten. 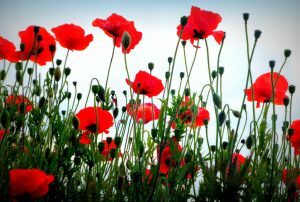 The memories we recall this Remembrance Sunday should spur us forward in the search for true harmony and peace throughout the world. As the Lord commanded the apostles to “Do this in memory of me” we gather this day praying for the graces of the great sacrifice of Calvary to engulf the whole world that we may live in the harmony for which Christ prayed; and to our fallen we say “We will remember them”. Previous PostPope Francis Prayer Intention October 2018Next PostChaplaincy Tuesday – What is progressive Judaism?